Subject: Gold Price Prediction 2015 After the "Flash Crash"
3 + 8 = Required Please enter the correct value. Gold Price Prediction 2015 After the "Flash Crash"
Gold price prediction 2015: A gold "flash crash" shook markets July 19, sending the metal down $50 an ounce in a matter of seconds to its lowest level since 2010. But the tumble didn't stop there. In fact, last week's events were so dramatic they necessitate an updated gold price prediction for 2015. "Gold's hard-and-fast tumble below $1,100 an ounce last week means some investors may be tuning out the yellow metal or suffering from gold 'burnout,'" Money Morning Technical Trading Specialist D.R. Barton, Jr. told readers July 27. "But ignoring it is a huge mistake. It has been and always will be one of the best stores of value, and it's a crucial hedge against economic upheaval. It's a must-have holding." Jim Rogers: Gold Buying Opportunity Seen in "Next Year or Two"
A Jim Rogers gold prediction is taken seriously by investors. Rogers is not only known to like the yellow metal, but his reputation as one of the world's top investors is beyond dispute. And today (Friday) we received a fresh Jim Rogers gold prediction. 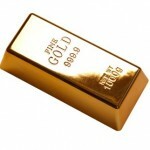 Gold prices jumped $28 to a six-week high Thursday while the Dow fell more than 200 points in afternoon trading. February gold ended the day up $25.80 to $1,264.50 an ounce. Spot gold finished up $28.10 at $1,265.50. Precious metal traders cited short covering, bargain hunting, and technical buying behind gold's gains. Unquestionably propelling the yellow metal's ascent Thursday was the steep intraday 217.42 point, or 1.33%, Dow plunge. The U.S. Federal Reserve pixie dust resulted in higher gold prices this week, much as it lifted silver prices and stocks. 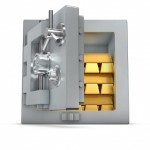 Gold buyers reacted enthusiastically to the Fed's announcement on Wednesday that it would not reduce its $85 billion a month bond purchases, known as quantitative easing, or QE for short. Gold prices leaped the most in 15 months, after the Fed's "no taper" move, to about $1,365 an ounce. Precious metals investors once again are left to wonder why gold is going down today as the metal hits its fourth consecutive day of declines. In trading Thursday, gold for December delivery finished the session down $33.20, off 2.4%, to $1,333.60 per ounce. Gold prices on Thursday fell more than $30 in a matter of seconds. The carnage continued today (Friday). Gold slipped to a five-week low on Friday, off roughly $72 an ounce over the week, marking the yellow metal's worst week since June.